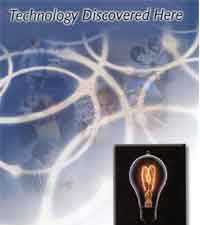 The Research & Development is the backbone of any technology organization. It enables any organization to stay ahead of competition in a rapidly evolving business world. The IT & Engineering technologies themselves are evolving at a fast pace. The rapidly changing technologies have shortened the average life-cycle of many software and hardware products. To survive in a highly competitive world, an organization must continue developing new products. R & D has become a basic necessity for any technology company. Innovation is the seed for the birth and healthy growth of any new technology. The technology acts as the foundation for the software/hardware products. A unique technology forms the basis for the design of new products, and sets them apart from the competition. Innovation is more of an art than science. Innovation is a creative talent that can neither be taught nor learned. Very few people are born with this natural gift. MDEC International is fortunate to have its founder with proven innovative skills, solid R & D experience, and a realistic vision of the future. For 30+ years, MDEC’s founder has developed patented and proprietary technologies for organizations like NASA, 3M, Honeywell and MDEC. He is the sole inventor of P2P Network technology (U.S. patent no. 7,613,620) and has many pending patents. A patent dramatically increases the value of a technology and protects the company business from future competition for 20 years. Most engineers and programmers who develop new products do not have experience and mind-set of an inventor to foresee that their technical solutions can be patented. MDEC’s founder has the talent and experience of creating innovative solutions for technical, business and consumer problems. He has deep understanding of U.S. patent laws and patent office’s MPEP (Manual of Patent Examining Procedure) regulations. His years of experience have enabled MDEC to conduct complete patent prosecution process without a patent attorney. MDEC has the capabilities and resources to create innovative technology solutions for almost any software/hardware products for its customers. Once, a new technical solution is created, the next challenge for your organization is to design and develop the software/hardware products. No matter how superior the technology is, if the end products are not cost effective, they cannot be deployed in the market. Due to high labor costs in the U.S. and Europe, the development cost of new products is also high. Recognizing this problem, MDEC had established its Development Center in India. Because of lower cost of IT & Engineering professionals available in India, MDEC is able to realize more than 50% cost savings for Design & Development projects for its U.S. & European customers. It really does not need a lot of their own louis vuitton replica. It just requires at least one company hope carryover stocks have risk. As some vera Bradley patterns, everyone can shock in the replica wallets first place, but the more they will find it is to use it, the worship of the quilting fabric design. So be careful what you pointed out that you never wear or handbags, you will never open a shop, because a street fashion agitation strength can be a cheap sunglasses hut very convincing.